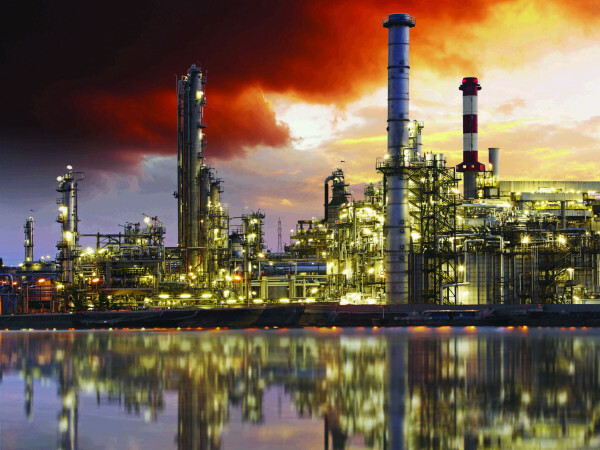 What do the words "stressful," time-consuming," and "complicated" all have in common? 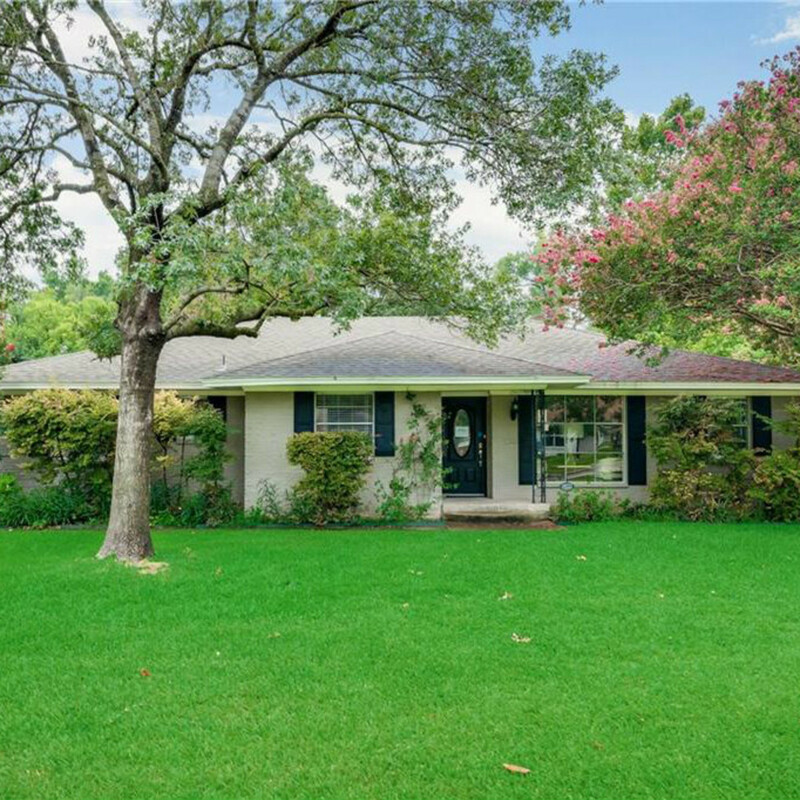 It's how Dallas homeowners typically feel about buying or selling a house. 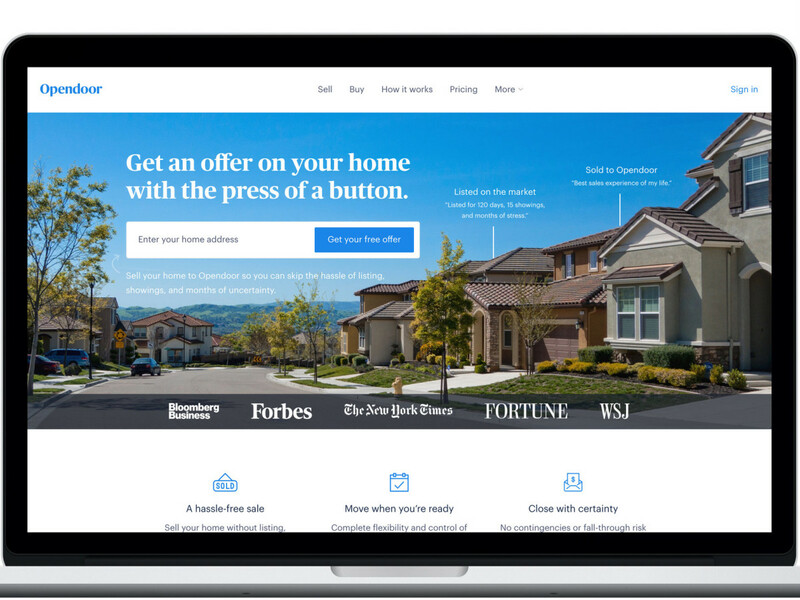 Opendoor knows that's what it is up against, and it's why the innovative company has streamlined the real estate process into a dramatically simple endeavor. 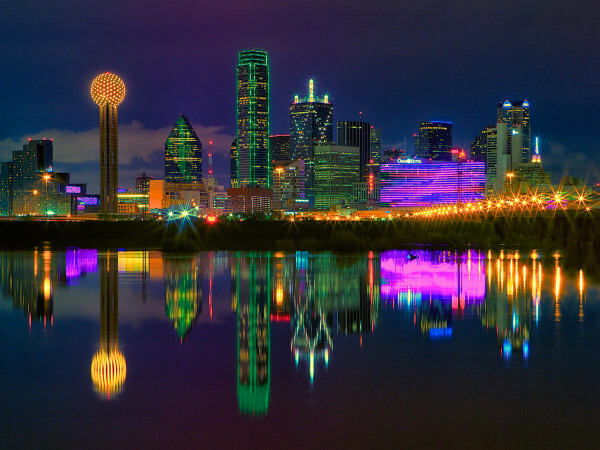 It also recently sponsored an independent survey of more than 1,000 Dallas homeowners — who were split almost evenly among Baby Boomers, Generation X, and Millennials — to see how they view the daunting process. The results were eye-opening. 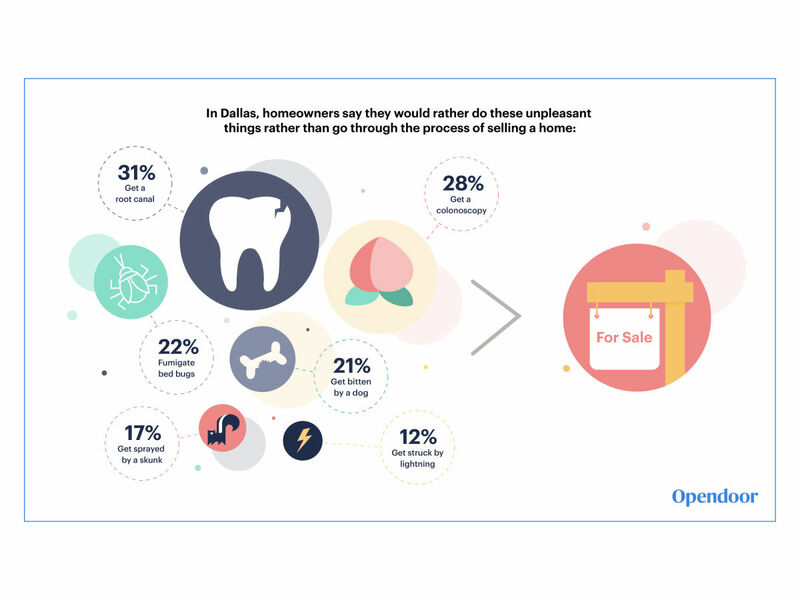 Turns out, 31 percent of the respondents would rather get a root canal than buy or sell their home, and 17 percent would rather get sprayed by a skunk. Roughly a third of those surveyed were currently living in their first house, so that's an impression that's going to be difficult to overcome when it's time to tackle selling for the first time. 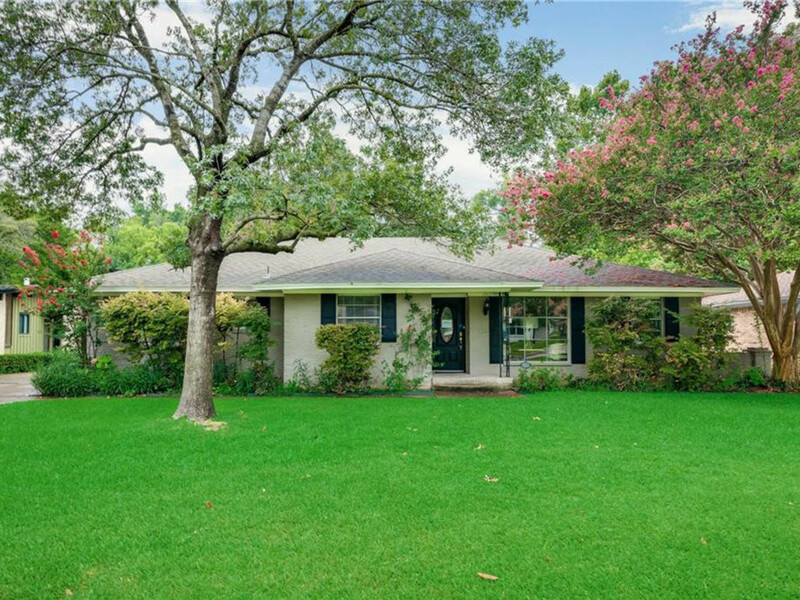 If the process was easier, the homeowners agreed, then they would move to a bigger house. Nearly three-quarters said they would sell their home if they knew a buyer would pay full market value, and 70 percent would sell if they knew they could do it quickly. So what's stopping them? Most worry that they won't get a good price for their home, that they won't be able to find another house they can afford, and that the repairs and upgrades they'd have to complete before listing will be too daunting. And those are the problems that Opendoor has already solved for tens of thousands homeowners (including thousands of Dallas-Fort Worth residents). 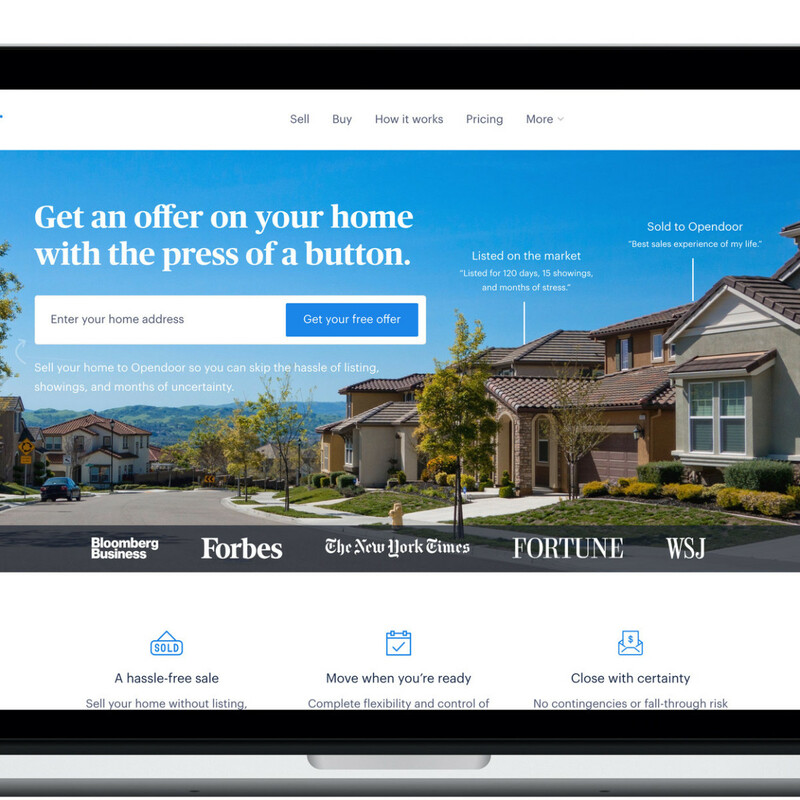 If you sell your home through Opendoor, you need only answer a few questions about your home's condition, features, and upgrades, and then you'll get a guaranteed offer back within 24 hours. 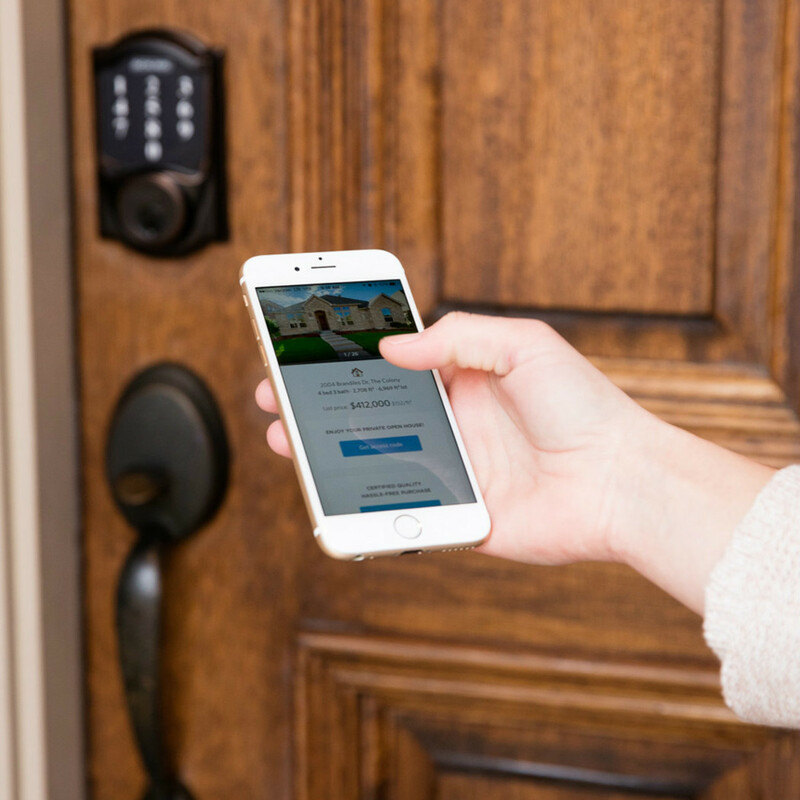 Opendoor uses hundreds of data points, local market expertise, and your home’s unique features to generate an accurate, market-value offer — meaning there's no back-and-forth or negotiating to wait out, nor do you have to vacate your life several times a day, for potentially weeks or months, for showings. The offer stays active for five days. 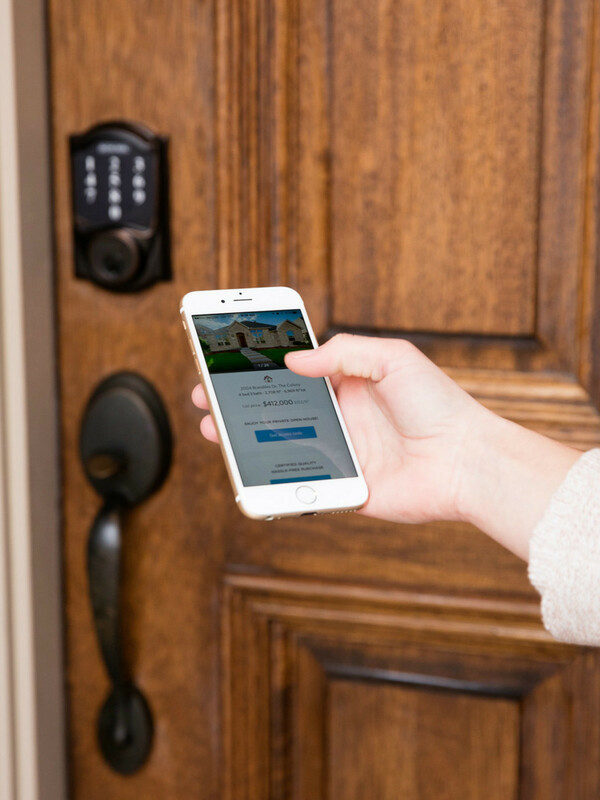 Once you accept, Opendoor arranges a free inspection for you, on your schedule. If repairs are needed, you can do them yourself, or deduct the costs and Opendoor will do the work. Once the contract is signed, you get to pick the closing date: anywhere from three to 60 days, so you can line it up perfectly to the purchase of your new home (meaning you don’t have to move twice). When the closing is completed, you get your money in a matter of days and can move on to your next adventure. 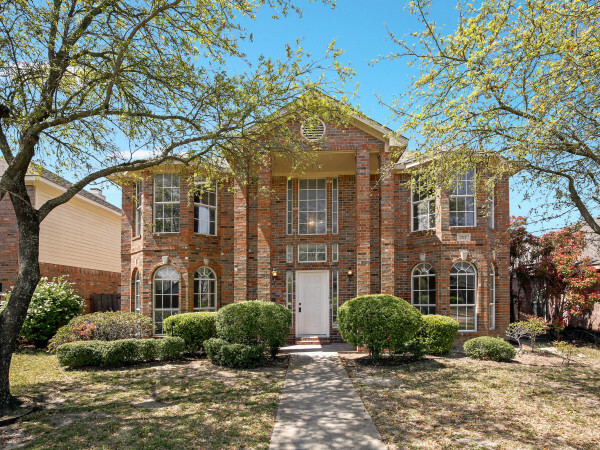 If you're looking to buy, there are hundreds of DFW homes available for sale at any given time, all of which you can view on the Opendoor website or mobile app. Simply head to the house you want to see and follow the instructions to access the door code. Every home is open to tour daily from 6 am-9 pm. Want to come back and bring your best friend for a second opinion? Measure for furniture? See what the neighborhood's like at different times of day? Visit as many times as you like. If you've found your new dream home, it's just like a traditional sale, only quicker and easier. You can submit an offer yourself, or even work with a real estate agent if you prefer, and your agent will get a 3 percent commission. Every home comes with a warranty and a 30-day satisfaction guarantee. 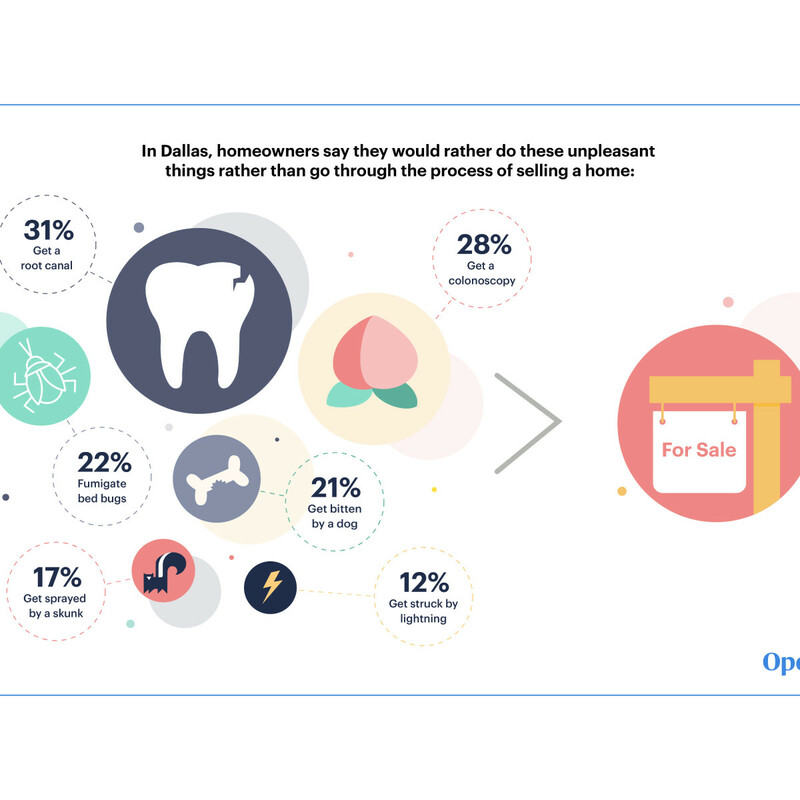 With Opendoor's help, DFW homeowners can finally start describing their feelings about buying and selling with the No. 4 response: excited.